Adds comfort and style to your bathroom. 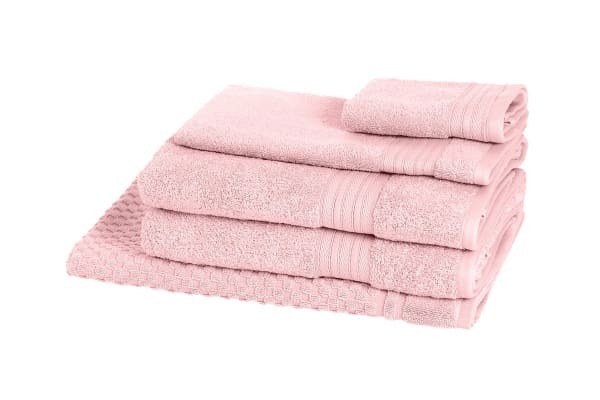 Enjoy premium comfort and style in your home with the Morrissey Designer Egyptian 5 Piece Towel Pack. Featuring a sumptuously soft Egyptian cotton pile yarn in a heavy 650gsm, the Morrissey Designer Egyptian 5 Piece Towel Pack will offer you maximum comfort and absorbency, wash after wash.